Archadeck Patio builders give you extra living space without the need to build a new room. More so, a new patio installation gives you a unique place to stage parties, hangout and more. When looking on the web for “Patio Installers Near Me” select Delaware’s best. Because you can hire our top-rated patio design and patio installation contractors in local towns and cities. We service areas such as; Claymont, Newark, New Castle, Hockessin, Montchanin, Wilmington, Rockland, Yorklyn, and Winterthur, Delaware. Choose a patio builder that provides a custom patio design, hardscape design or other patio construction options. 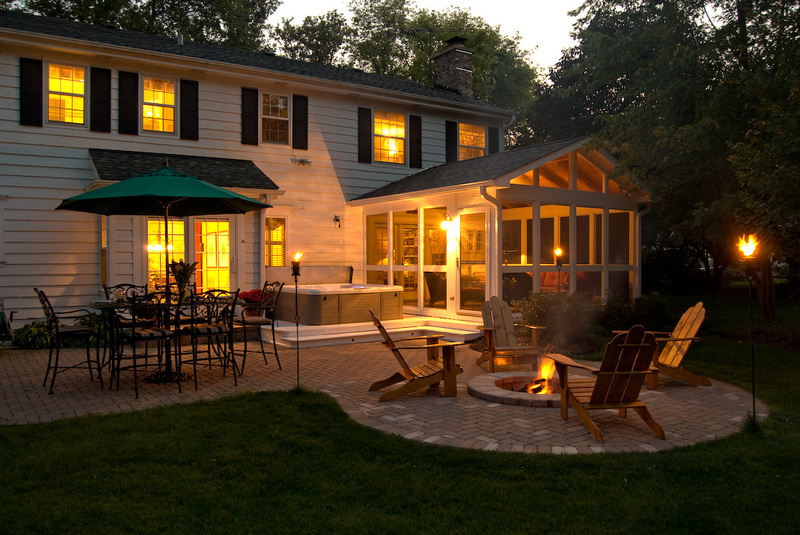 Our local patio builders create outdoor living spaces that add a wonder to any home. And no one does patio installation better than the professionals at Archadeck of Delaware. A new patio installation creates a great place for homeowners to kick back, relax and enjoy a day off. Today’s patio installations and hardscapes are made to function as part of your home, offering you a variety of options for use in both traditional and modern patio fashions. Patio design and patio construction are no longer about plunking down a square patch of concrete at the back door. With a variety of deck materials, patio surfaces options and color options to choose from, outdoor spaces can become an extension of your home that enhances and adds value to your property. Our patio builders work with you to create a layout you love. And more so, a patio installation that meets your needs and dreams. From gray flagstones and stained woods to red brick pavers and stamped concrete in neutral tones, our patio installers design and construct a patio that fits seamlessly with your home’s style. Patio Installers need decking materials that reflect the craftsmanship and quality of their work. At Archadeck of Delaware, our patio builders take the time to understand what you want and need in a patio design. In addition, the variety of materials available gives us the design flow to make your ideas come to life. Have you always wanted a redwood deck that stretches around your swimming pool? Thinking about a multi-layer flagstone patio or a sweeping patio design that flows around your home? Our patio contractors can incorporate a fire pit, fireplace or built-in barbecue into your new patio installation. More so, our patio builders can give you built-in planters, retaining walls, garden spots, and benches. Archadeck patio builders will help you get the outdoor patio of your dreams. It doesn’t have to be hard to find trusted “Patio Installers Near Me” in Newark Delaware. We’re just a phone call away. So get that outdoor space you’ve always wanted and dreamed of. Let our team provide custom built patios and hardscapes from Archadeck of Delaware. Contact our patio builders today. Start planning your new outdoor patio installation right now.